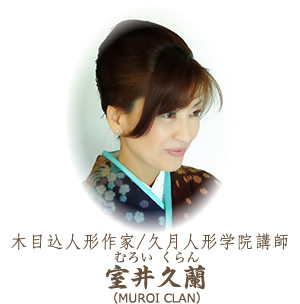 Muroi Clan was born in Shizuoka prefecture. Influenced by her mother, Kawasaki Mutsue; whose artist name is Kawasaki Kyucho, Kyugetsu Kimekomi doll master, she has been interested and involved in Japanese history culture, and traditional craft dolls since she was young. During her life as an officer, since she was 23 years old, she had learned Japanese doll craft under her mother Kawasaki kyucho. In 1998, she was qualified as a Japanese Washi Craft Artist, and started giving her lectures on handcraft. 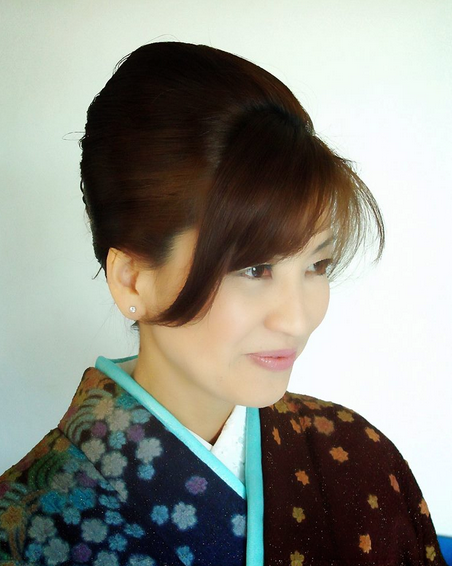 In 2002, she became qualified as a Master of Kyugetsu Kimekomi Doll, at the age of 40, which is quite young for such an honor. She was given an artist name: Clan and became qualified as a licensed examiner. Around that time, she opened her own class, and has always had many pupils and worked hard to train new artists for the 21st century. In 2005, she held an exhibition at department store, gathering 900 visitors and receiving favorable reviews.